Also, I wanted to share a couple of important tips about cooking pork chops…as I’ve received a few notes and emails recently about them turning out dry. Pork chops are super sensitive – especially on the grill or in a skillet. Many times they end up overcooked and then dry out. With pork chops, you do have to cook them all the way through, but they will overcook quickly! Finally, please let these marinate properly…at least for 30 minutes. But if you can swing it, overnight is best!! 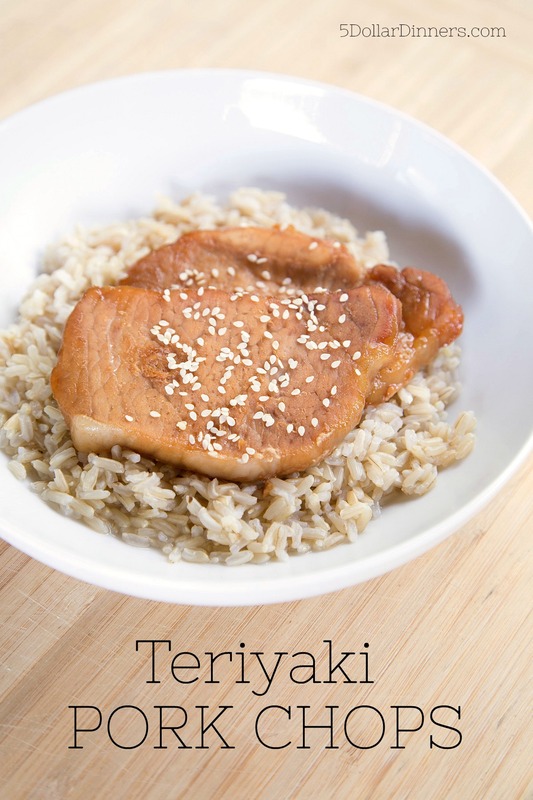 Place the pork chops in a shallow baking dish and pour the teriyaki sauce on top. Squeeze the lime juice over the top and sprinkle the salt and pepper onto the sauce/pork chops. *Cover with plastic wrap and let marinate in the refrigerator for at least 30 minutes, or overnight. Heat the olive oil in skillet over medium high heat and saute the pork chops and marinade together for a few minutes on each side. Flip two or three times, or until pork chops are cooked through. Reduce heat to low if the sauce begins to caramelize or burn on the edges of the skillet. Let rest for 5 minutes before slicing and serving. 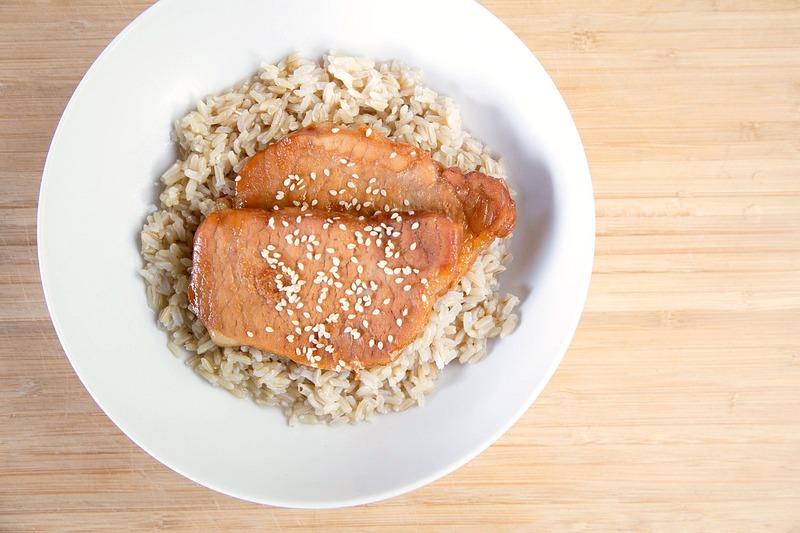 Serve Teriyaki Pork Chops with rice and veggies.